Saint James Ct at its best!! 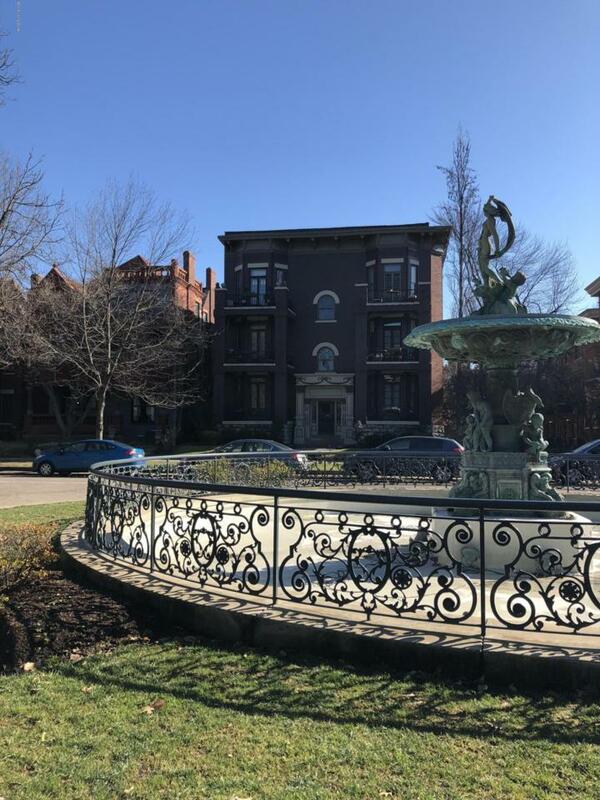 Impressive condo building located across from the iconic fountain in Historic Old Louisville! Spacious 2nd floor flat offers a great layout & tall windows. 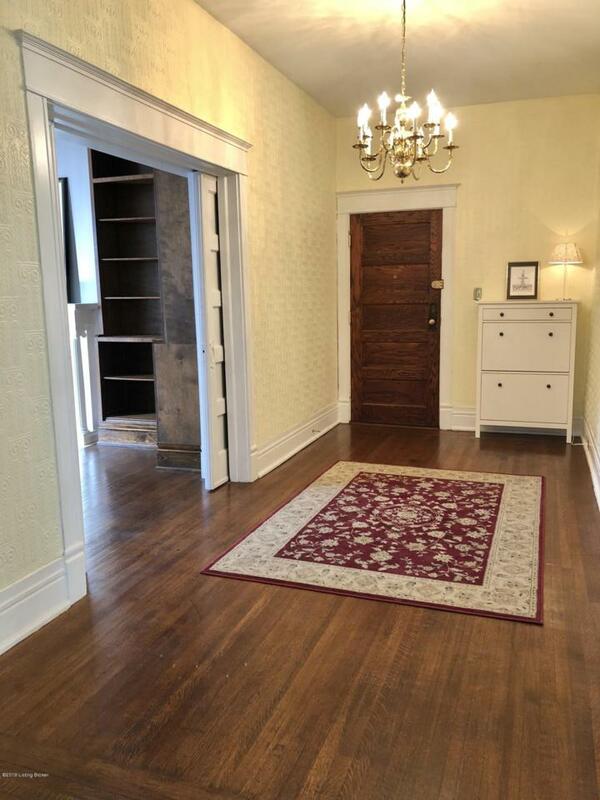 The Grand foyer with embossed paper walls is ideal for displaying art. Pocket doors open to a living room with ornamental fireplace & floor-to-ceiling bookshelves. 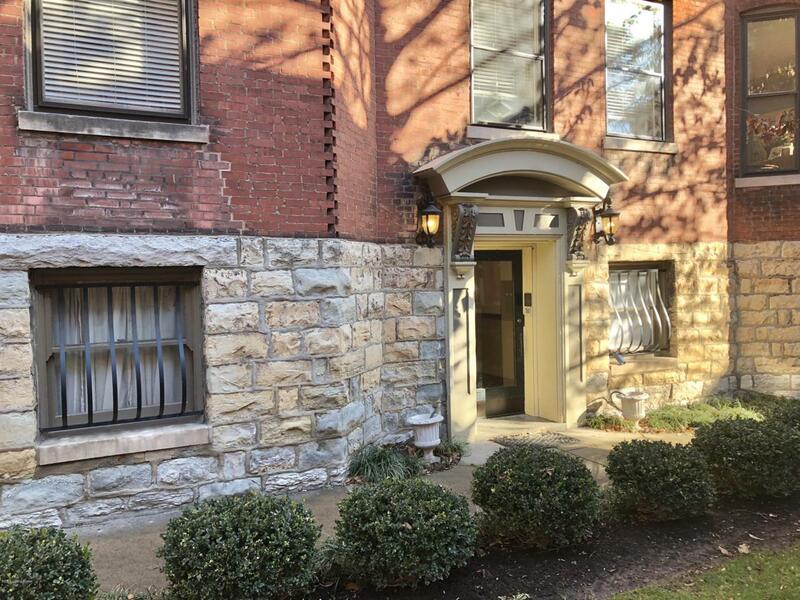 Two bedrooms with generous closets & a remodeled bathroom with walk-in-shower and glass tile. Formal dining room features a decorative fireplace & a swing door opens to a sizeable kitchen and a shared covered porch landing that leads to assigned storage & common laundry in the secure basement. Common lobby foyer & staircase with skylight is designed in period-style. Garden views, hardwood floors, & soaring ceilings. Courtyard entry with enchantinglandscaping. 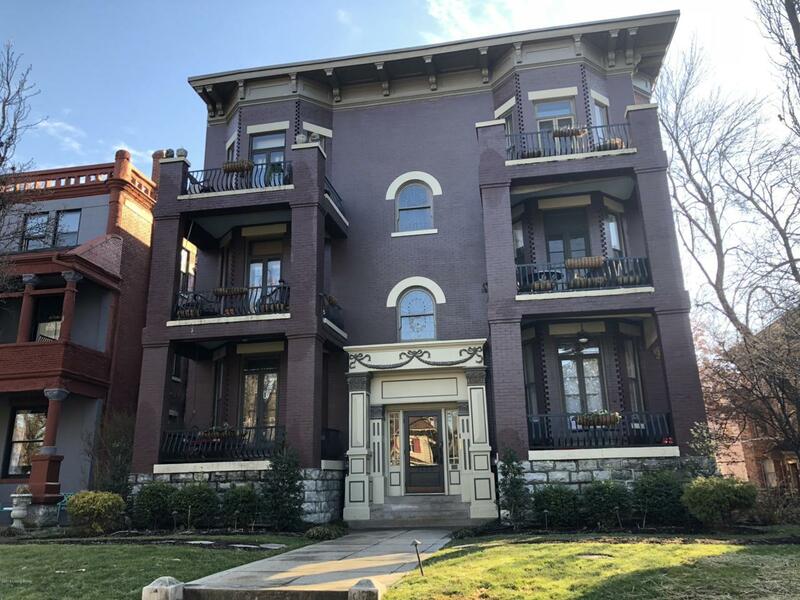 Circa 1897, this must-see condo is rich in history, full of charm, character and awaits you. Easy to show and immediate occupancy available.